Check out this gently-used 2016 Ford Flex we recently got in. Treat yourself to an SUV that surrounds you with all the comfort and conveniences of a luxury sedan. When driving an all wheel drive vehicle, such as this Ford Flex Limited, superior acceleration, traction, and control come standard. 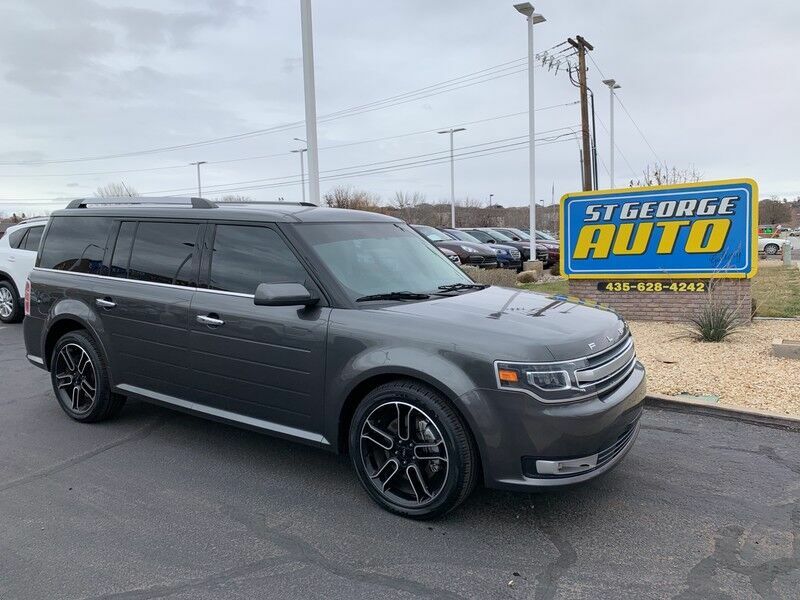 The quintessential Ford -- This Ford Flex Limited speaks volumes about its owner, about uncompromising individuality, a passion for driving and standards far above the ordinary. More information about the 2016 Ford Flex: The 2016 Ford Flex remains an excellent choice for those who lament the absence of large station wagons on the market, yet want something far more stylish than truck-like SUVs or look-alike crossover vehicles. It drives responsively, rides smoothly and quietly and is a great highway vehicle. Plus, the Flex's boxy shape makes it one of the most spacious vehicles inside, especially from a passenger standpoint. Consider its excellent safety ratings and standout active-safety features and it makes a lot of sense from a family standpoint-- making a luxurious minivan alternative, too. Strengths of this model include all-weather all-wheel drive, handles like a big sedan, Boxy exterior style is unique, spacious, passenger-friendly interior and smooth ride.